Please visit the updated wiki pages of the project at GitHub. This post is old and does not reflect any changes being made to the application. DuckRails is a development tool. Its main purpose is to allow developers to quickly and dynamically mock API endpoints. and you don’t want to implement the mocking inside your code. There’s also another interesting point which transforms the DuckRails from a development tool to an actual API (the tool needs a lot of improvements though in order to be used like this in production): Since the mocks can be configured to be dynamic, you can actually wrap your actual endpoint and enhance it with new data, transformations on the original data and whatever else you can think of. This will install all the required gems (libraries) the application needs. You can use DuckRails either in development (quick setup) or production (better performance) mode. This will setup your database. DuckRails is configured to use MySQL as a database. You can change the file config/database.yml to make it match your custom database setup. Here’s a guide if this is your case. This will start the application in development mode. For production mode, you will need to do some extra steps. Your env needs to have a SECRET_KEY_BASE variable (used to secure your sessions from tampering). Then export the variable with the previous’ command output. 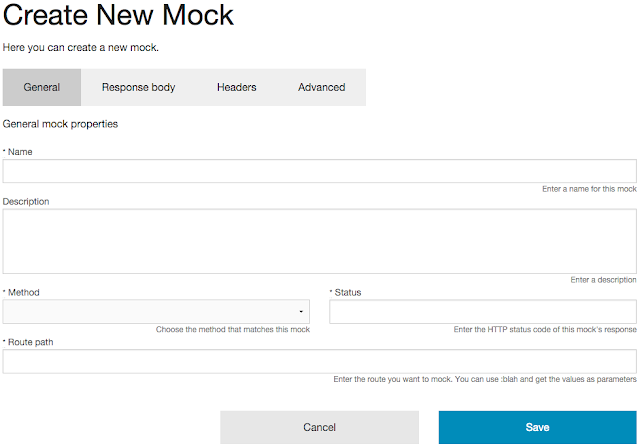 Create a new mock by pressing the related button in the application home page. There are 4 main sections allowing to configure a mock. 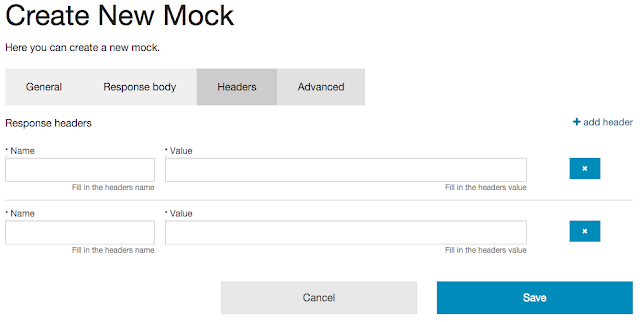 Here you can configure the general properties of the mock. 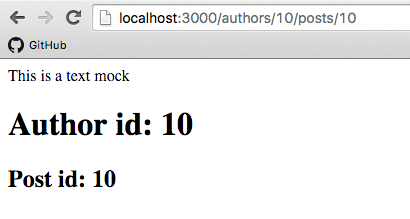 Method: select the HTTP method this mock matches to. This value along with the route path is going to create a unique “endpoint” serving your mock. Status: fill in the HTTP Status code this mock will respond with upon call (you can set dynamic status, view the Advance section of this document). Route path: fill in the path of the mock. You can use path variables, example: /authors/:author_id/posts/:post_id and these will be available later on, when you configure the mock’s body via the @parameters variable (see below). In this tab, you configure the response’s body. Embedded ruby: the response’s body will be dynamic and what you fill in the Body content field will be evaluated as embedded ruby script (See the Advanced section of the document for an example). Content type: select the content type of the response. The content type can be dynamic, I will explain later on. 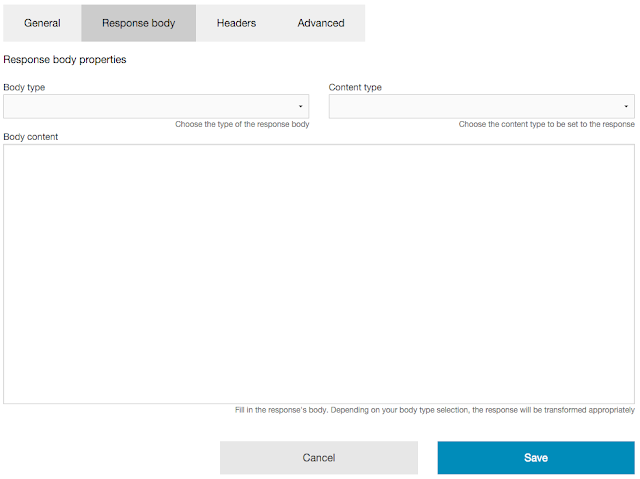 Body content: fill in the response’s body (static or embedded ruby depending on your previous selection). In this tab you can add headers to the mock’s response. You can set dynamic headers, see the Advanced section of this document. In this tab you can set some advanced configuration for the mock. Besides the evaluated JSON, here is the place to add code to do stuff like simulating a delay. The sleep 5 above is going to delay the response for 5 seconds. The evaluated JSON is going to add two dynamic headers and set the status code & content type of the response based on the @parameters variable values. Feel free to open issues for the tool here.